maybe a firewall issue? Are the WHMCS server and the SolidCP Enterprise Server in the same internal network? If yes, it could also be an issue with a loop, if you try to connect with the external FQDN? Maybe you can try to connect with the internal IP? This would be also my recommendation not to expose port 9002 unsecured to the internet. 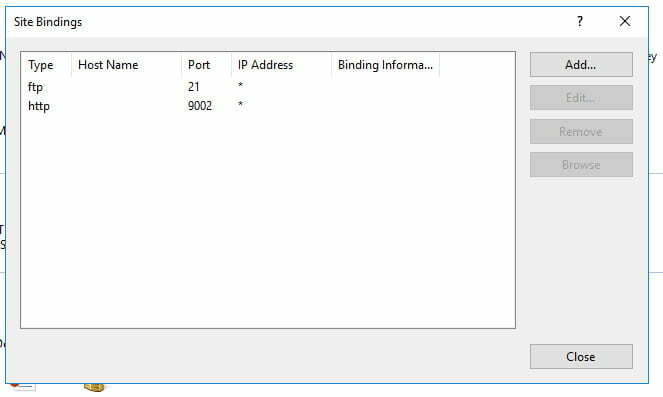 You can try to enable the ICMP connection in the Windows firewall and try to ping the Win server from the Linux server. If this is successful, then it should be an issue with the IIS configuration/firewall. If it’s also unsuccessful, then it’s a network issue. Thanks for your reply Marco. Connecting to siteURL.com|###.16.###.234|:9002… failed: Connection refused. Connecting to siteURL.com|###.230.###.128|:9002… failed: Connection refused. SOAP is installed and it is what is throwing the error message when it can’t connect. What is blocking it on the Windows Server to make it get refused? aslong as you can load those sites in the whmcs server the connectivity should be working correctly. The only left other aspect is PHP Soap module on the whmcs server, this extension is required to make our module work. I tried that as well just like you said, but still won’t connect. I have a feeling it is to do with the MS Server connection permission not accepting the connection. What permissions would I need to check to confirm this? I checked my error logs and there is no indication of a log in attempt. For the portal url you can then override in the Product module options. Yes, the hostname is the same as the URL I used to access it via a browser (with the port added), and also the IP which I also confirmed via browser access with the port added. There is no SSL cert so I have not clicked that option. I also tried changing the hostname to the IP address to see if that helped (that is how my other linux server is configured, but it is the local machine that the WHMCS installation is on, whereas the SolidCP is obviously remote).